Hello! 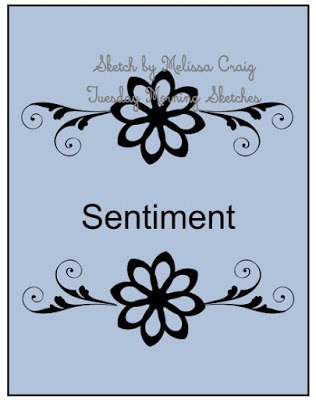 I am running a bit late entering this card in the challenge #459 at Tuesday Morning Sketches so I am going to be brief with this post. 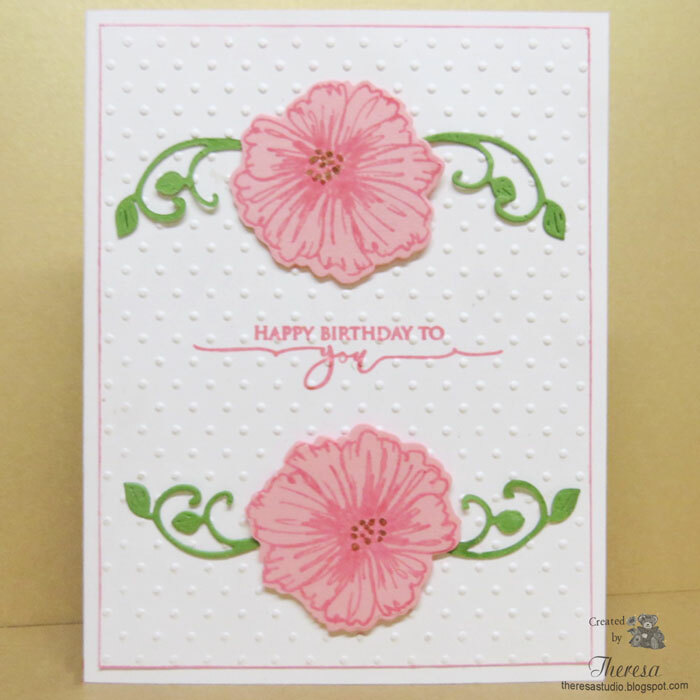 I used GKD stamps and flower die and Cheery Lynn Flourish die to create this card. Also used Distress Oxide Worn Lipstick ink, White, Pink, and Green CS's, Gold Marker, and Swiss Dots embossing folder. Simply followed the great sketch shown below. 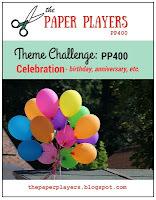 The Paper Players: Challenge PP 400 Celebration Theme Challenge. Congrats on your 400th challenge. Gorgeous card! So pretty and elegant!! This card is lovely. I do like the texture you added and those flowers are so pretty. Thank you for joining us at Tuesday Morning Sketches. Gorgeous florals! 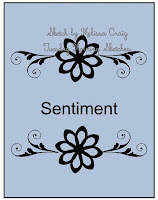 What a simple yet very pretty card! Thanks for sharing this with us and helping us celebrate our 400th challenge at the Players! This is such a pretty card - love the embossing and the flowers! Thanks for joining in the fun over at The Paper Players 400th Challenge celebration! Good luck in the drawings!